Compatible with: DCP-L2520DW DCP-L2540DW HL-L2300D HL-L2305W HL-L2320D HL-L2340DW HL-L2360DW HL-L2380DW MFC-L2700DW MFC-L2720DW MFC-L2740DW. 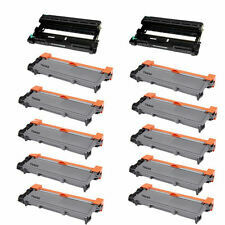 10PK Brother New compatible TN-660 Toner Cartridge (High Yield) 2 DR630 Drum Unit. Compatible Printers with:Brother HL-3040CN Brother HL-3045CN Brother HL-3070CW Brother HL-3075CW Brother MFC-9010CN. 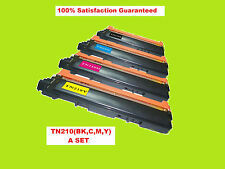 OEM Model: TN210 BK,C,M,Y Combo set Color: Black/Cyan/Magenta/Yellow Yield: Same as OEM. Samsung clp-365 clp-365w clx-3305 clx-3305fw xpress c410w sl-c410w sl-c460fw sl-c460w. 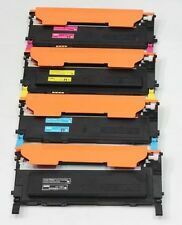 4 pk - non-oem toner cartridge set for samsung 406. Above toner cartridge is brand new compatible non-OEM. Compatible Printers:Samsung CLP-360 / Samsung CLP-365W / Samsung CLP-368W / Samsung CLX-3300 / Samsung CLX-3305FW / Samsung Xpress C410W / Samsung Xpress SL-C410W / Samsung Xpress SL-460FW / Samsung Xpress SL-C460W. ompatible Model: CF400X CF401X CF402X CF403X 201X. Color: Black, Cyan, Magenta, Multi-Color, Yellow :Compatible Printers1: HP Color LaserJet Pro M252dw M252n Compatible Brand: For HP. Compatible Printer List:Color LaserJet CM1415fnw. 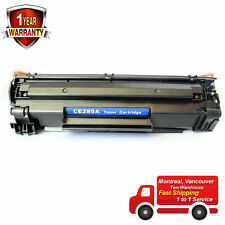 Content:1 x CE320A/128A Black Compatible Toner Cartridge. 1 x CE321A/128A Cyan Compatible Toner Cartridge. 1 x CE323A/128A Magenta Compatible Toner Cartridge. 4PK New Compatible CLT-406 Toner Set for Samsung CLP-360 CLP-365W CLX-3305FW (BK,C,Y,M), CLT-K406S, CLT-M406S, CLT-Y406S, CLT-C406S. Samsung CLT-C406S,CLT-Y406S,CLT-M406s,2CLT-K406S New Compatible Cyan Toner Cartridge. OEM Model: CLT-C406S,CLT-Y406S,CLT-M406S,2CLT-K406S Colour: C/Y/M/2K Yield: BK/1,500/1,500 C/M/Y 1,000. 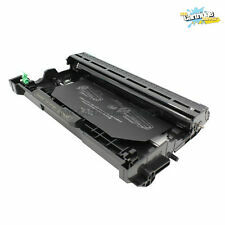 New compatible 2x TN-660 Toner Cartridge (High Yield) DR630 Drum unit. OEM Model: TN660/DR630 Yield: 2600/12,000 Color: Black. Compatible Printers:Brother DCP-7060D / Brother DCP-7065DN / Brother HL-2220 / Brother HL-2230 / Brother HL-2240 / Brother HL-2270 / Brother HL-2270DW / Brother HL-2280DW / Brother MFC-7360 / Brother MFC-7460DN / Brother MFC-7860 / Brother MFC-7860DW. 1PK COMPATIBLE SAMSUNG MLT-D101S TONER Cartridge. · Samsung ML-2165. · Samsung ML-2160. · Samsung ML-2165W. · Samsung ML-2164 series. · Samsung SCX-3400 / W. · Samsung SCX-3405 / W.
Compatible Printers:ImageClass LBP7110Cw / ImageClass MF8280Cw. 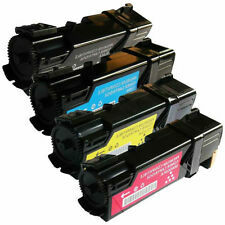 Item:4PK Canon131A Combo (131BK/ 131C/131M/131Y ) Compatible Toner Cartridge. Colors：1,400 Pages @ 5% Coverage. Mfc-9130cw mfc-9330cdw mfc-9340cdw. Type: Toner Cartridge. Brother - HL Series. Brother - MFC Series. Condition: New. Compatible Printer List. Yield: 2200 pages. Specifications. 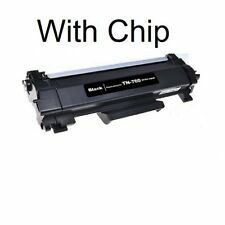 Compatible Brother TN660 Toner Cartridge. Brother HL Printers Printer: HL-L2300D, HL-L2320D, HL-L2340DW, HL-L2360DW, HL-L2380DW. Model: TN660 Toner. Quantity: 2PK TN660. Compatible Printers:Samsung SL-M2020W / Samsung SL-M2070W / Samsung ML-2070FW/ Samsung Xpress M2020W /Samsung Xpress M2070FW / Samsung Xpress M2070W. 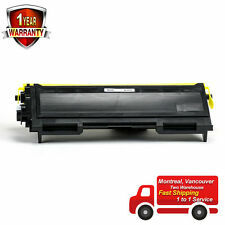 Item:2PK Samsung MLT-D11 1 S New Compatible Black Toner Cartridge. Color LaserJet CP1525nw Color LaserJet Pro CM1415fnw Color LaserJet Pro CP1525nw. LaserJet Pro CM1410 Series LaserJet Pro CM1415 LaserJet Pro CM1415fn LaserJet Pro CM1415fnw LaserJet Pro CP1525 LaserJet Pro CP1525n LaserJet Pro CP1525nw. Compatible Printers:Samsung ML-2164 / Samsung ML-2164W / Samsung ML-2165W / Samsung SCX-3400 /Samsung SCX-3405 / Samsung SCX-3405W / Samsung SCX-3405FW/ Samsung SF-760P. 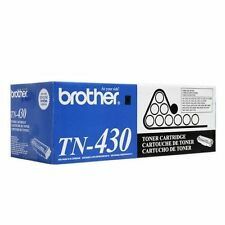 Brother TN-221/TN-225 New Compatible Toner Cartridges High Yield Combo Set (BK,C,M,Y) Compatible With: Brother HL-3140CW, HL-3170CDW, MFC-9130CW, MFC-9330 CDW, MFC-9340 CDW. LaserJet Pro P1566, LaserJet Pro P1606dn, LaserJet Pro M1536. 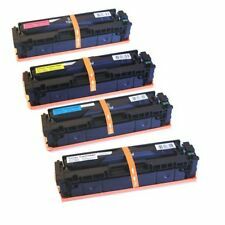 4Pack Brand New Compatible Laser Toner for HP CE278A 78A. 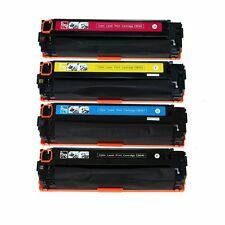 4 Pack for HP78A CE278A Black Compatible Toner Cartridge. Hl-l2300d hl-l2305w hl-l2320d hl-l2340dw hl-l2360dw hl-l2380dw. Type: Toner Cartridge. Brother - DCP Series. Brother - HL Series. Brother - MFC Series. 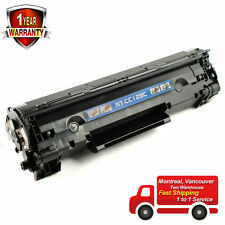 Package includes : 4 x Toner cartridge. Lexmark: MX310, MX310DN, MX410, MX410DE, MX510, MX510DE, MX511, MX511DE, MX511DRE, MX511DHE, MX610, MX610DE, MX611, MX611DE, MX611DHE, MX611DTE. Replacement for. Page Yield: 10,000 @5% coverage. D550, D530, MF4412, MF4420n, MF4450, MF4550, MF4550d, MF4570dn, MF4570dw, MF4580dn, MF4770n, MF4880dw, MF4890dw. 2pk Compatible Canon 128 Toner Cartridge. Model: Canon 128 Toner. New GENUINE Brother DR730 Drum Unit In Original Box - Free Shipping! Toner cartridges go into a printer in order to make it possible to print. Toner is for laser printers, which is different than the ink of an inkjet printer. Knowing about the supplies you need for your printer will make it easier to get the right toner. What is a printer toner cartridge? A printer toner cartridge is the way that toner is fed to the printer. It could be in black or colour, based on the type of printer that it is. Every brand of printer, such as HP and Lexmark, have their own style of cartridges. When you buy cartridges, it's important to know what you're getting. Compatibility: Some cartridges are only compatible with certain printers. Original: The original LaserJet toner cartridge might not last long. 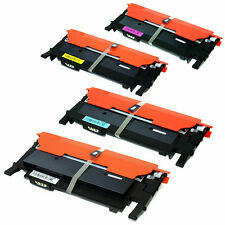 After that, you can look at high yield cartridges for when you do a lot of printing. colour: Look at the colour of ink that you're getting in the cartridge. You will find that there are all sorts of colour options for toner. However, what you buy will depend on the printer that you have. If you have a B&W one, you only need black. If you have a colour printer, then you will need colour laser toner. You might be low on one specific colour or need colour for all of the heads. Black: B&W models simply need black toner. Multi-colour: Many kits are available to give you all the colours you need. Single colour: If you need magenta, cyan, or yellow toner, you can buy them individually. Can printer cartridges be refilled? Toner cartridges can be refilled. In some instances, you will get a remanufactured cartridge. In other instances, you will get a kit to be able to fill the cartridges on your own. Bulk: Bulk toner powder or ink can be purchased, which is helpful if you go through a lot of laser toner. Syringe: This style allows you to inject ink into the cartridges. Recycled: Recycled cartridges allow you to reuse the supplies. How do you shop for printer toner cartridges? 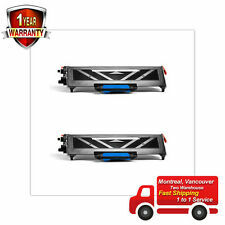 When you are in the market for toner cartridges, you have to look at the printer brand that you have, such as HP, Lexmark, or Canon. From there, you can find supplies that will fit your HP LaserJet or other printers. Brand: Look at the brand of the printer as well as the make of the cartridges to ensure they are compatible. Model: Review the model of your LaserJet. colour: Decide on the colour refills you need of ink. 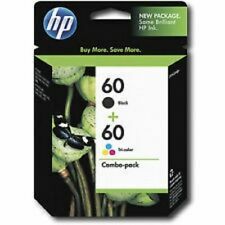 New vs Refill: Determine if you want new cartridges, remanufactured ones, or a kit that you can refill the ink.